When you visit Asheville, Biltmore Estate, Grove Park Inn, or the Blue Ridge Mountains, we have the perfect place for you to stay. 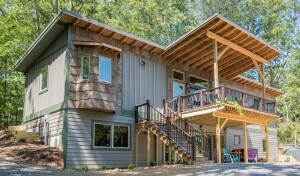 Choose from a sprawling family retreat (Cloud 9 Relaxation Home), two romantic getaway cabin for couples (Heavenly Hideaway Cabin & Sawyer’s Cabin), or a luxury cabin for couples or groups (Silver Lining Cabin) – all part of the secluded Cloud 9 Farm in Fairview, NC, just 11 miles southeast of Asheville. Leave your worries behind but not the luxuries! Enjoy hot tubs under the stars, HDTV, wireless internet, games and consoles for the kids, (not to mention, farm animals) and all the everyday conveniences you need. Pet friendly, too. With 200 acres of woodlands and valley farm to explore, stunning views, and lots of quiet, you will feel like you are a world away. But don’t be fooled. 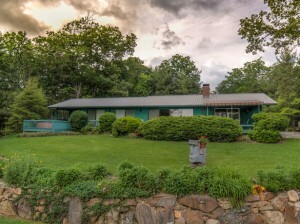 Cloud 9 is an easy 20 minutes from downtown Asheville and even closer to Biltmore Estate and Village. We also offer the property as an outdoor wedding venue. We are pet friendly and offer military discounts. Our sprawling family retreat. Cloud 9 Relaxation is a gem... sitting on top of a hill on a private mini-estate/Cloud 9 Conservation Farm just 15 minutes southeast of Asheville and the Biltmore Estate. 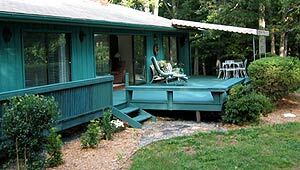 You will have a perfect view of the Blue Ridge Mountains from every window. 3 Bedrooms accommodate 6 people for the best fit. No traffic, no other houses to look at, no noise but lots of valley farm to explore. A romantic getaway for couples. 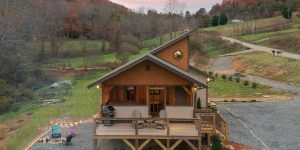 Heavenly Hideaway cabin, near the Biltmore estate in the Blue Ridge Mountains is a secluded, cozy cabin built with romance in mind. Hot tub on the deck with the open sky above facing the woods. You never have to see another person. Cloud 9 Farm has 200 acres to hike and explore right out the door. You are in a gated residence. Our luxury cabin for couples or groups. Silver Lining Cabin is your new, modern, efficient, clean cabin with a heart-shaped whirlpool tub, a gourmet kitchen AND an outside hot tub. Lots of natural light but all windows have privacy blinds as well. A separate access road allows you to have the best east views and be surrounded on two sides by Cloud 9 Conservation Farm’s hiking trails. It's an all wood custom-built cabin with 480 square feet of open floor plan and a full kitchen. 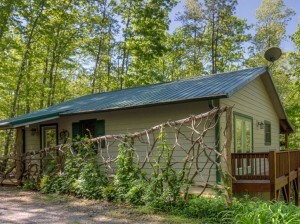 The cabin is decked out with a two-person hot tub on a semi-closed porch – and other amenities like a large screen TV, washer/dryer, and WiFi. It has a king bed and a sleeping loft with a full bed and separate TV.